Having so many people to buy gifts for throughout the year, I always struggle with what to buy!! 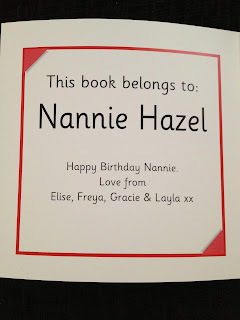 I do love personalised presents, it is something about unique for the person receiving them. 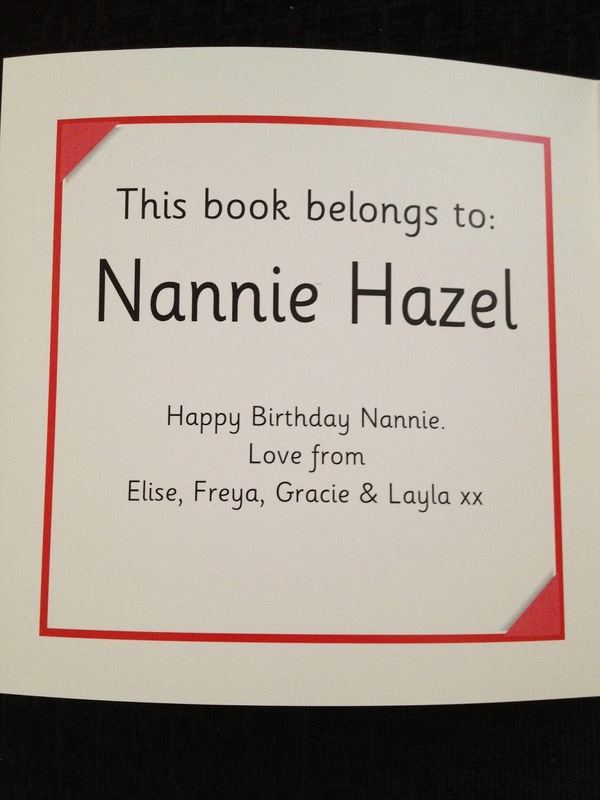 My mother in laws birthday is fast approaching and again I was finding it hard to think what to get for her and as if by magic, love2read approached me and asked if I would like to review one of their personalised photo books, this was perfect because I haven't given an updated picture of my children to my mother in law for quite a while and it was something she could sit and read with the kids. 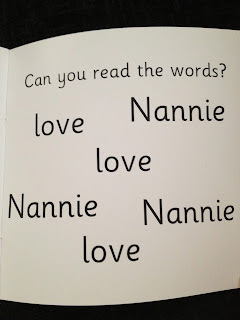 Love2Read was an idea created by the lovely Caroline when she was helping one of her children learn to read. Caroline is actually a qualified teacher and she studied how children learn to read at university. With this is mind, she had made a book using pictures of her family and she found it was a real hit, even with her two year old!! When you order your book, you literally create everything, you choose the title, the pictures and the words. There are plenty of pre written titles to choose from, ranging from books for dads, mums, birthdays and so much more. If like me, you can't find the title that quite fits what you want the book to say, then you can choose your own title. The picture above shows what I chose the book to be called. The book itself is made up of 12 pages, 10 of these pages you can place pictures of your choice on. I love that on the inside cover you have written who the book belongs to and you can even write a little message too, the picture below shows you what it looks like. 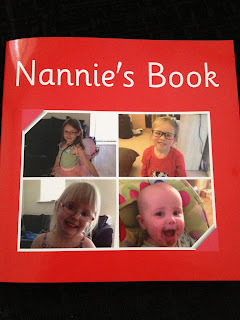 The book is a lovely size measuring roughly 7 inches square, a perfect size for little hands helping to hold on to it. The small size also means you can also take it out with you too as it would fit easily in most bags. Each page you create, you choose what picture you would like to use, what words you want to use and even what colour border goes around each photo. The process is extremely simple and the best thing is that you don't have to rush. 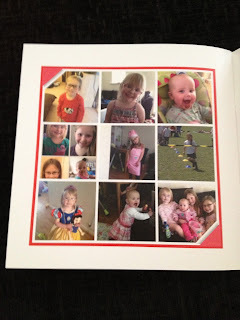 There is an option to save the book that you are creating so that you can come back to it at a later date, great if there is photo you really want to get to place in the book. 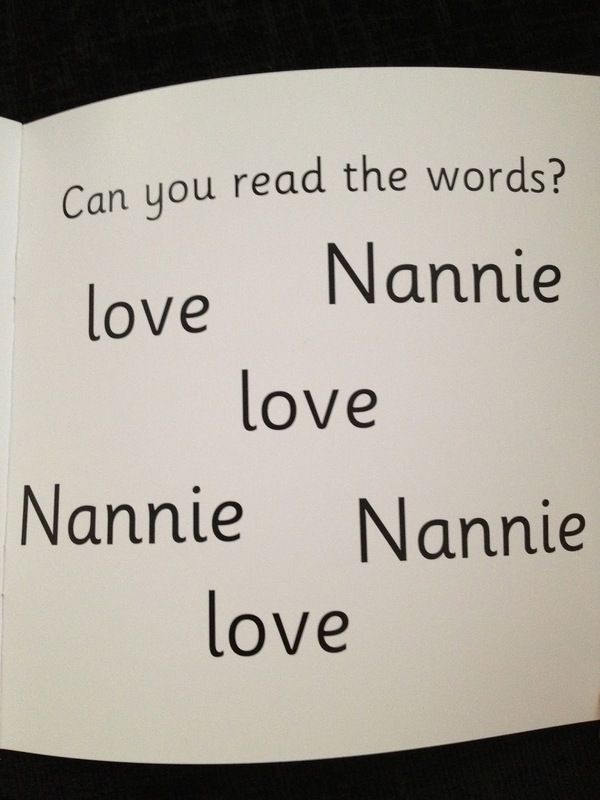 When creating the book, you are asked to pick two key words which you would like printed, this encourages your child to read and as my children do love nannie, I thought these keywords were approriate to sit and learn with nannie. 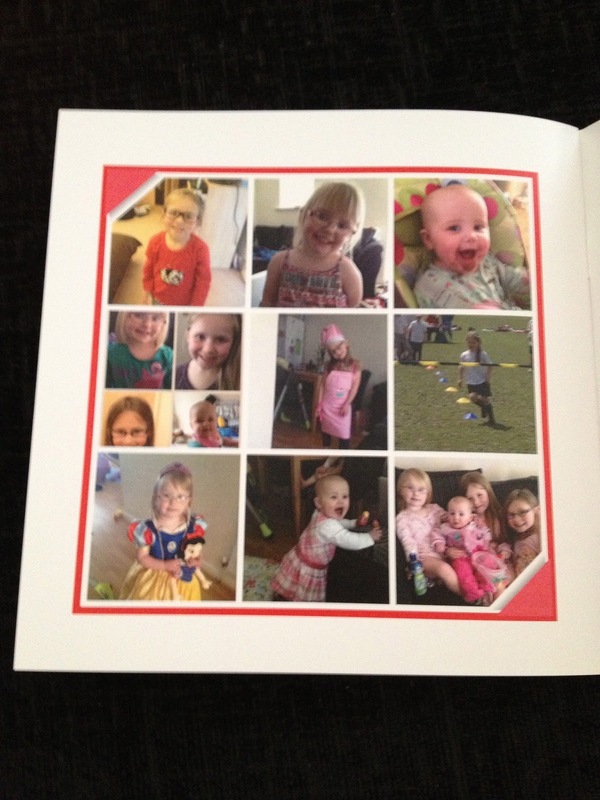 The final page of the book is my favourite, it is a collage of all the pictures that you have put in the book. I think it is really lovely seeing them altogether!! 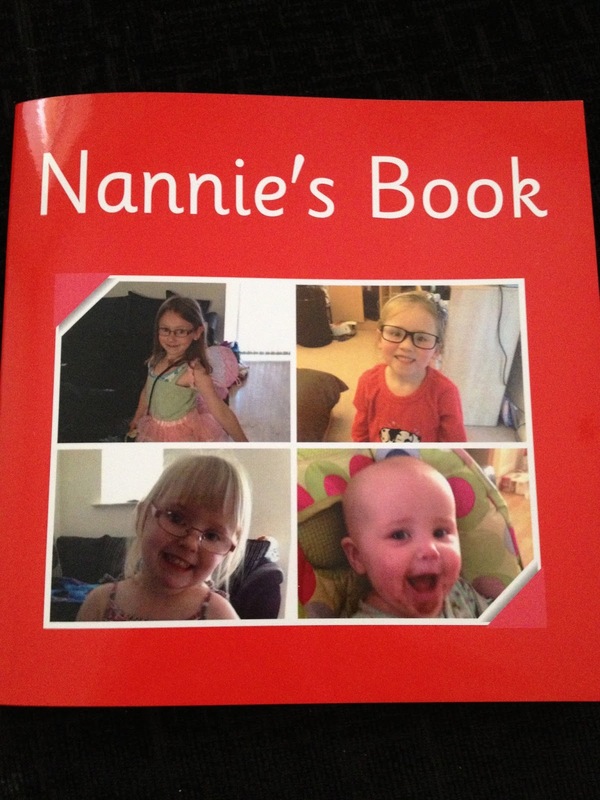 You can purchase one of these personalised books from love2read for the amazing price of £14.99. I can't recommend them enough. The process of making them is very simple and the printing and posting of the book is extremely fast. What I really love is how they stay in contact with you throughout the process, you get emails letting you know that your book is going into printing and when it is going out for delivery. And if like me, you choose to create your own title etc, they contact you to check on just how you want things worded and send you proofs of how your book will look. This is such a nice touch and makes the process more enjoyable. You can keep up to date with love2read by following them on twitter or liking their facebook page. Disclaimer : This books was sent to me free of charge for reviewing purposes but all thoughts and opinions are my own.